Toronto real estate enters two distinct markets. Detached homes are soft, but condos are fetching up to 50% more in some neighborhoods. Toronto real estate is starting to look like two completely different markets. 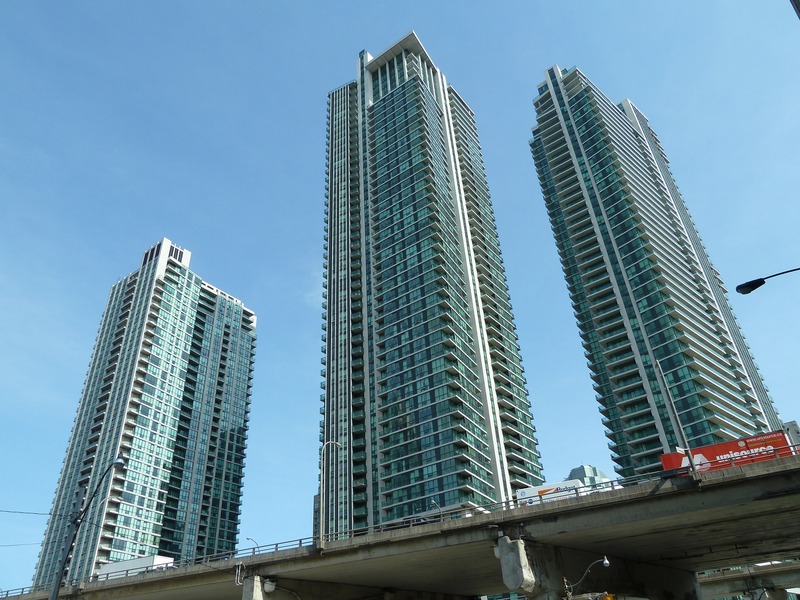 Numbers from the Toronto Real Estate Board (TREB) show that the condo market isn’t suffering from the same soft indicators as the detached market. Actually, condos are now the fastest rising segment of housing in the city, with some neighbourhoods seeing price increases in excess of 50% from last year. Generally speaking condos saw higher prices, less sales, and less listings. Toronto’s condo market saw steep increases compared to last year. The benchmark condo apartment, which is the typical condo adjusted to remove luxury bias, is now $467,400 – a 30.6% increase from the year prior. In the City of Toronto proper that number is an even higher $485,200, a 32.16% increase from the year before. If price growth seems unsustainably high, it’s nothing compared to what some people are justifying in certain neighbourhoods. According to TREB, E11 which is the Malvern/Rouge Valley area, the benchmark price climbed to $405,400 – a whopping 56.99% increase from the same time last year. In second is E04 which is the Kennedy Park/Birchmount/Wexford-Maryvale area of Scarborough. Prices climbed to $415,500, a 53.25% increase from last year. I know, totally sustainable, right? Most of these neighbourhoods were known for relatively cheap housing, but it looks like that gap is closing. The average price of condos fell from last month, but are still seeing the highest increase of any segment of housing. Across TREB, the average condo sold for $519,784, a 23.3% increase from the year before. In the 905, the average sale was for $436,097, a 21.4% increase from the year prior. In the City of Toronto proper, the average sale reached $552,679, a 23.2% increase. As you can see from the chart, while these numbers are higher from the same time last year, they’re taking a seasonal dip. Sales across Toronto are down dramatically from last year. Across TREB there were 2,371 sales, down 23.4% from the same time last year. Breaking that down, the 416 saw 669 of those sales, a 21.7% decline from the year before. The 905 saw 1,702 sales, down 27.6% from the year before. Sales naturally decline as prices get higher, but this is higher than usual – so it’s worth keeping an eye on. Unlike detached units that are seeing a flood of new listings, condos are actually seeing less than the same time last year. There were 4,245 new listings in June, a 2.97% decline from the same time last year. This is also a massive 15.99% decline from the month before. There were 3,907 active listings at month end, a 24% decline from the same time last year. Great for buyers that now have a little more variety and less competition. Not so great for sellers since they may have to motivate buyer’s a little more if this continues. Toronto real estate is starting to look like Vancouver on a 12 month delay. Last year when the market took a dip, more expensive detached units saw price growth grind to a halt. While more expensive units took a dip, the floor of the cheapest types of homes continued to rise. It’s too early to tell if this is going to be an exact repeat in Toronto, but it’s worth monitoring less affluent neighbourhoods to see if the pricing floor continues to rise. Like this post? Like us on Facebook for the next on in your feed. Contributing editor, and data sherpa. Previous post: Is Toronto’s High Cost of Shelter Leading To Explosive Growth In Job Vacancies? This is what happens when there are uneven mortgage qualification rules, IE requiring 20% DP on 1+mil houses, stress tests only on high leverage loans. The rules need to be even across all property types and values or there will always be small pockets of the market that take off like this while others languish.